Louisiana is the land of the bayou, as well as the home of Cajun music (and food), Creole cuisine, dance halls, and Mardi Gras. Many people visit this state every year to enjoy its culture, architecture, and environment. And many decide to stay—Louisiana has enjoyed a great deal of inward migration since Hurricane Katrina, largely due to an economy performing well despite the national recession. With more citizens moving in, Louisiana will also need more teachers—for both its public and private schools. And teachers in the state can expect many benefits, including high total compensation, protected academic freedom, and more local control in educational decision-making. What’s the education climate in Louisiana? How’s the job outlook for Louisiana teachers? What benefits do Louisiana teachers have? 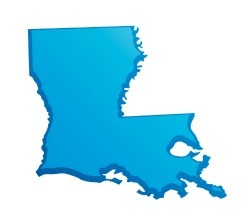 What are the credentialing requirements in Louisiana? The year 2010 was a bust for education legislation in Louisiana: more than 150 bills impacting education (directly or indirectly) appeared on the floor, with about 50 of those bills being amended and passed. However, three significant bills were endorsed by the Board of Elementary and Secondary Education (BESE), which have had continuing impact on Louisiana schools. HB 1033/Act 54—Teacher Evaluations—In order to improve teacher quality and professional development, formal teacher evaluations now take place annually instead of every three years. Half of that evaluation is based on student improvement—not simply how students measure against national standards, but how they have grown in relation to past achievement. The state recognizes that different teachers work with widely different levels of students—and that some schools even lose part of their school year to natural disasters (such as hurricanes and floods)—so evaluations take these factors into account, in order to provide fair and helpful feedback. The other half of the evaluation is based upon principal observations, peer reviews, and other factors. Significantly, these evaluations do not necessarily affect teacher pay; local districts retain control over how their teachers are rewarded and retained. HB 1368—Red Tape Reduction Act—Another bill empowering local schools, this act frees schools from certain state rules when they secure a waiver from the BESE, and relieves them from complying with any unfunded mandates from the BESE. Waivers can be obtained if a majority of teachers in a school district pursue one, and if the local district can demonstrate that their local plan grants them a better opportunity to improve education than the one-size-fits-all plan of the state. HB 942—Micromanagement Bill—This bill affirms the responsibility of a school superintendent in handling personnel decisions (including hiring, firing, and disciplining), preventing school board members from using their influence to interfere with these decisions. Three other recent initiatives have improved how Louisiana students are tested. First, Louisiana has recently created a high school Career Diploma, developing course design and content (for example, Applied Algebra as an alternative to Algebra I); end-of-course exams for these classes have been revised to reflect the goals of this program. Second, the state has issued new guidelines for grade-level testing, moving from a norm-referenced test to a combination norm- and criterion-referenced test, in order to meet both state and federal guidelines. Finally, new procedures have been put in place to allow teachers to report testing irregularities, without fear of retaliation from employers. Also, in April 2012, Louisiana passed legislation that allows students from poor households who have been attending underperforming public schools (with a C, D, or F rating from the state) to receive a voucher from the state that will pay for them to attend a private school instead. The private schools must be on the state-approved list, and local tax dollars cannot be taken to schools outside of that area; but within these boundaries, parents have more options for their children’s education than before. Job prospects for new Louisiana teachers are good, particularly for those teaching elementary school. According to the Louisiana Workforce Commission, elementary school teaching positions will account for the 14th most number of job openings in the state, averaging about 950 new positions annually. Among secondary school teachers, mathematics, science, and social science are in particular demand. In addition, the state reports teacher shortages in the areas of early childhood education and special education. Prospective teachers who specialize in these areas will improve their chances, and speed, in finding a job in Louisiana. Louisiana teachers work between 180 and 190 days out of the year, with 15 weeks of vacation and 8 paid holidays (including Mardi Gras). Benefits packages include plans for health, vision, dental, and life insurance. The State of Louisiana also pays 75 percent of the cost for health insurance coverage. Additionally, teachers are enrolled in the Teachers’ Retirement System of Louisiana (TRSL) and become eligible to join the Louisiana Capitol Federal Credit Union. Louisiana teachers may retire with full benefits (2.5 percent of highest salary, times number of years served) at the age of 65 after 20 years of teaching, or at 55 after 25 years of teaching. They may also choose to retire at a younger age at a reduced benefit. Many teachers in Louisiana get to do more than simply teach inside a classroom. The state also has several programs to integrate classroom education with hands-on applications in science (particularly agriculture) and civics. Such programs connect students and teachers to real-world applications of the curriculum. Several other organizations in Louisiana (see Louisiana Teacher Organizations below) are also devoted to teacher development, and to providing educational resources to Louisiana teachers—including substitute teachers. These organizations often publish and discuss research on teaching programs and techniques, and often offer classroom activities or curriculum supplements to improve teacher performance. In order to be licensed to teach in Louisiana, applicants must have completed an approved teacher preparation program at a bachelor’s degree level or higher. The state of Louisiana will also accept teachers who have completed a regionally accredited program in another state. Any teacher preparation program will include a period of student teaching, which may take as long as an entire semester. Additionally, applicants must pass both the Praxis I examination (demonstrating basic skills in reading, writing, and mathematics) and the Praxis II appropriate to their subject. Louisiana issues three levels of teaching credential. The Level 1 professional certificate is the first one obtained, and is valid for three years. During this time, a teacher must pass the Louisiana Teacher Assessment and Assistance Program in order to qualify for a Level 2 certificate, valid for five years. In order to obtain a Level 3 certificate, a teacher must have taught for five years in his or her certification area, as well as complete a master’s degree program at an accredited university. Additional details and information about the certification process can be found at the Louisiana Teaching Certification website.